01 July 17 - President of Rotary Club of Healdsburg Sunrise, Dan Erickson, with President Elect of Rotary International Sam F. Owori, who was due to take office July 1 of 2018. Sadly Mr. Owori passed away 13 July due to complications from surgery. Sam was a member of the Rotary Club Kampala, Uganda, for 38 years. Rotary is establishing a memorial fund in Sam's honor and will provide details soon. 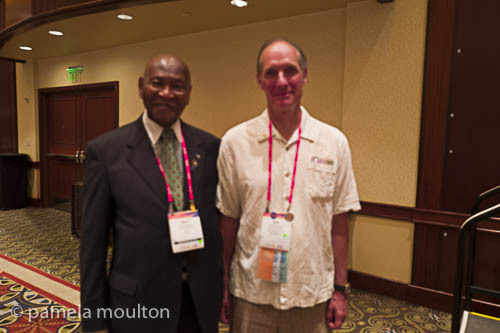 Rotary President-elect Sam F. Owori died Thursday, 13 July.